People are using mobile and web platforms to find golf courses more than ever. Put your course in a position to take advantage of this growing trend and reach out to an ever-growing audience of online golfers. 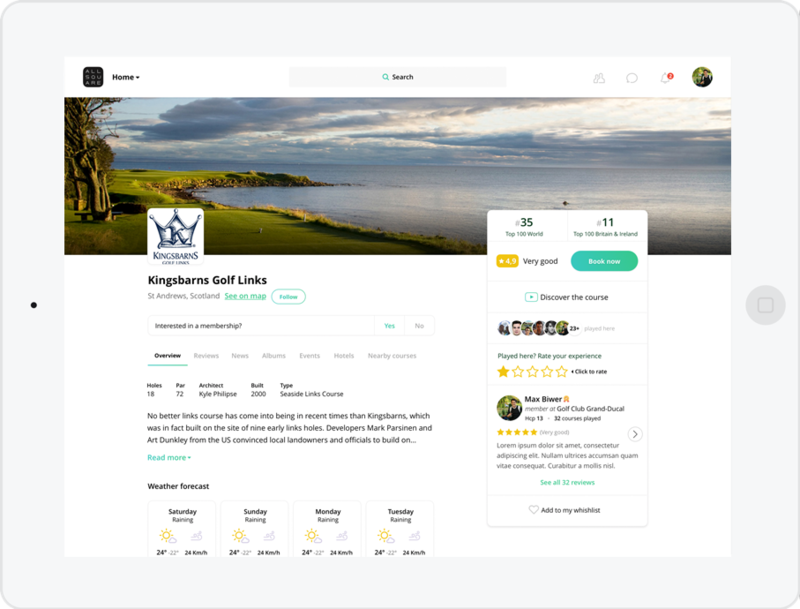 Manage your profile and select your top photos, edit your golf course information, recommend nearby hotels, and add helpful links. Invite golfers to follow your activity and join your community on All Square. Keep in touch with them by publishing your golf club's latest news and activities. 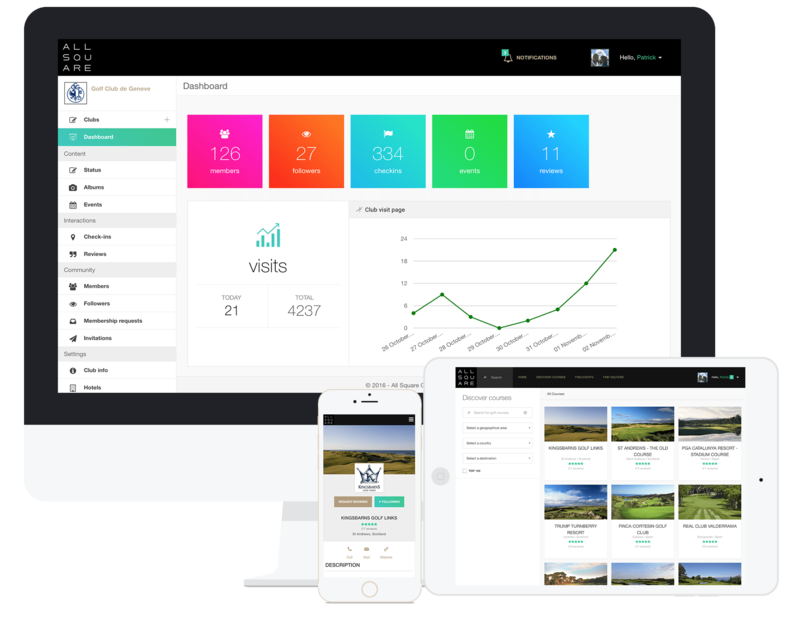 Engage directly with a highly targeted audience of passionate and traveling golfers and increase the number of rounds played on your golf course. Use our analytics to learn more about the golfers walking on your fairways. Get to know who's visiting each week, who's visiting for the first time and more.